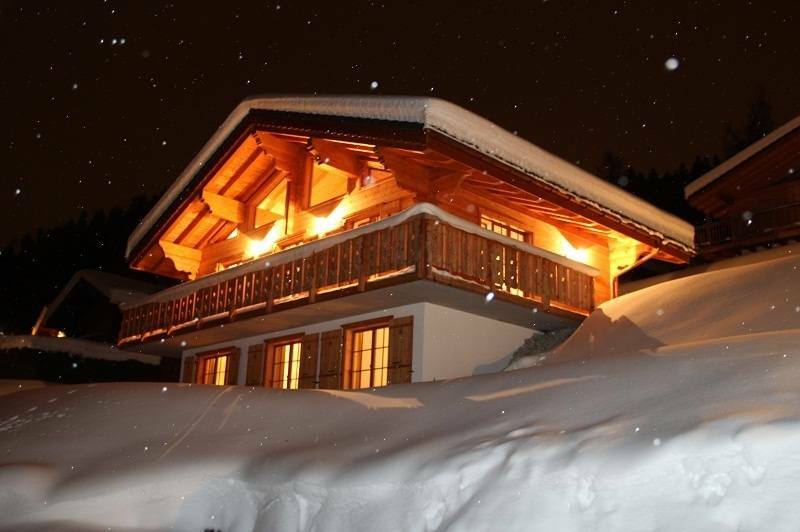 Welcome to Chalet Helene, a fantastic family chalet for rental in the Swiss Alps, situated in a very quiet area in Mayens de Chamoson, near Ovronnaz, Valais, Switzerland. Completed in 2012, the chalet is on two floors (total area 156m2) with a large open plan living area upstairs, and 3 bedrooms downstairs for sleeping six people. Ovronnaz is a friendly, all year round destination, with an excellent powder snow record and 300 days of sunshine, with Thermal Baths for you to recover after a long days walking or skiing. Also, easy to reach, only 1.5 hours by car to Geneva Airport, and 20 minutes to Sion Airport.